In certain situations you may want to conditionally apply a different caching policy based on a backend response. In this particular case we have backend that on occasion returns 404 errors (e.g., document not found). We don't want those responses to be cached for full caching period of a day but only for 5 minutes. 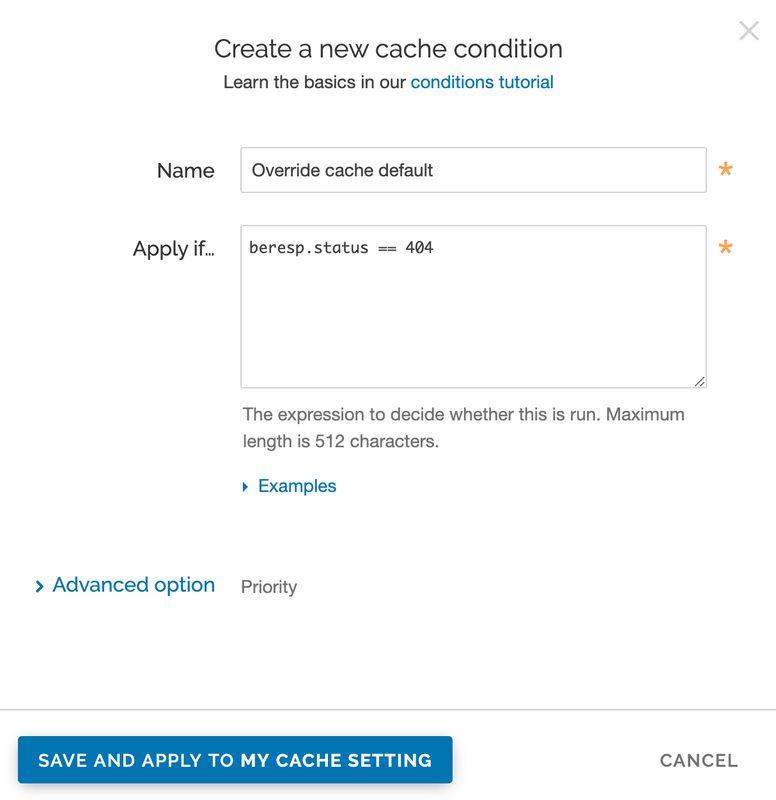 To override default caching we add a cache object and then create conditions for it. Click the Create cache setting button. 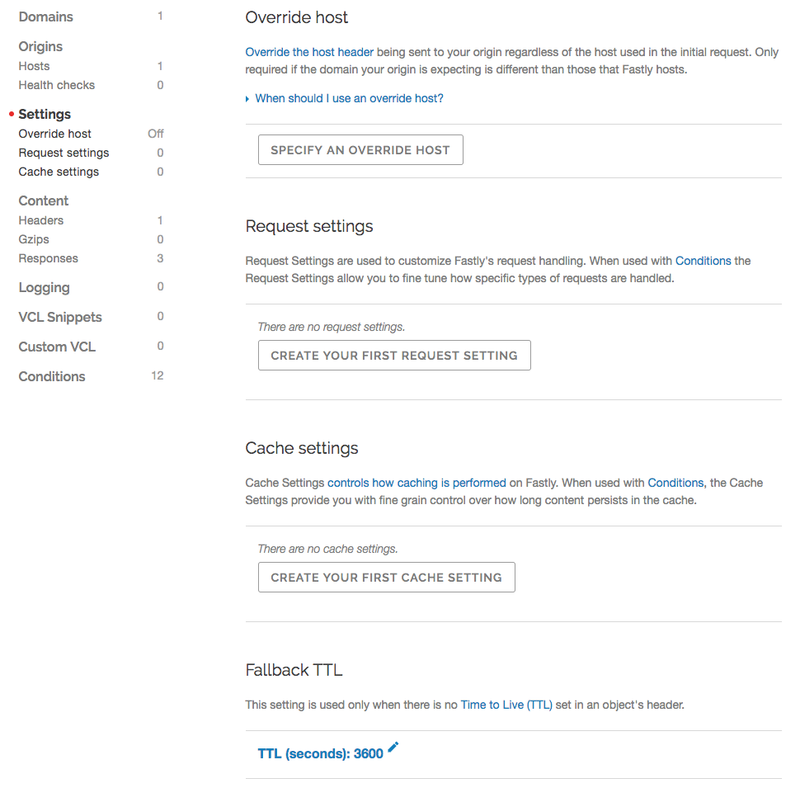 The Create a cache setting page appears. In the TTL (seconds) field, type the amount of time, in seconds, to cache the objects (e.g., 300). From the Action menu, select Deliver. In the Stale TTL (seconds) field, type the amount of time to serve stale or expired responses, in seconds, should the backend become unavailable (e.g., 300). Once the object is created, add a condition to it. Click the Attach a condition link to the right of the object. Click Create cache setting button. The Create a new cache condition window appears. In the Name field, type a descriptive name for the new condition. For example, Override cache default. In the Apply if field, type an appropriate backend response header to specify when the condition will be applied. For example, beresp.status == 404. 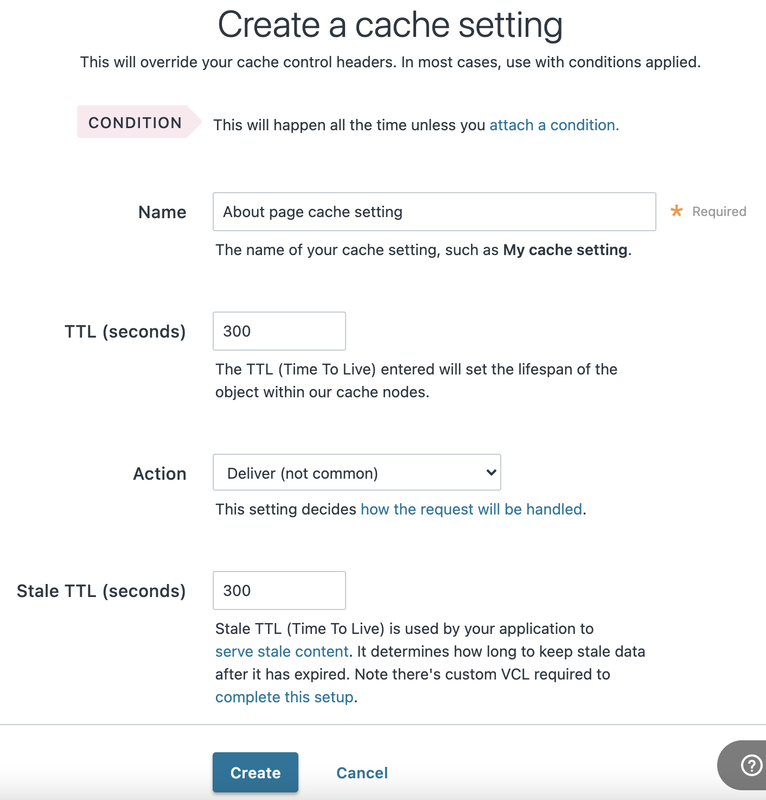 You can use any backend response header in the Apply if field to make decisions on caching. For example, beresp.http.Content-Type ~ "^text/html" can be used to specify different caching rules for HTML documents.